Granlibakken is a Norwegian name meaning a hill sheltered by trees. Granlibakken Resort occupies 74 wooded acres in a picturesque mountain valley. Spectacular Lake Tahoe is just minutes away. Townhome and suite accommodations afford plenty of privacy in a tranquil and relaxing hideaway. For business, our complete conference center welcomes groups of 10 to 350. For pleasure, a full menu of Tahoe's outdoor recreation and indoor entertainment is available either at the resort or minutes away. The hospitality is European and the lifestyle is Lake Tahoe. 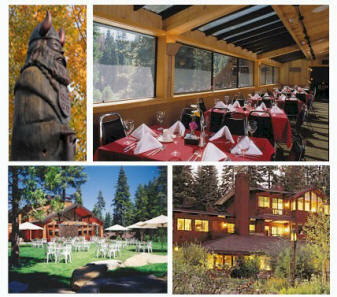 Granlibakken Conference Center and Resort is located in a tranquil mountain setting with all the wonders of the Sierra at your doorstep. Whether you arrive by car or plane, getting here is easy. From Interstate 80 take Highway 89 south from Truckee to the "Y" in Tahoe City. Follow Highway 89 south for 1/2 mile to Granlibakken Road. Turn right and continue for 3/4 of a mile to the deck overhang of the main lodge. Follow Highway 395 to Highway 50 west in Carson City. Turn right on Highway 28 along the east and north shores of Lake Tahoe to Tahoe City. Turn left at the stoplight and continue 1/2 mile on Highway 89 to Granlibakken Road. Turn right and continue for 3/4 of a mile to the deck overhang of the main lodge. Take the Highway 395 north on-ramp from the airport, then exit to Interstate 80 west. Use directions from Sacramento (above). 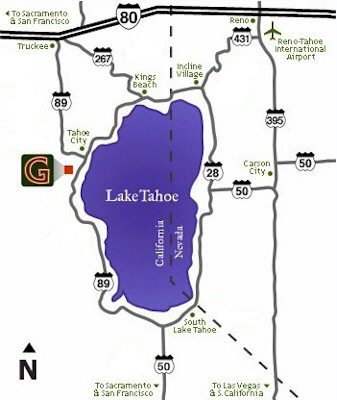 Granlibakken offers airport shuttle service from and to the Reno/Tahoe International Airport for $80/person (single rider) or $40/person (2 + passengers). Guests wishing to book the shuttle should call (800) 543-3221 seven days or more in advance. The airport shuttle is by reservation only.